What is Going on in Gaza, Palestine? 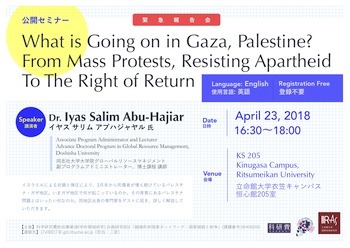 Open Seminar:"What is Going on in Gaza, Palestine? From Mass Protests, Resisting Apartheid To The Right of Return"
Copyright (C) Relational Studies on Global Crises All rights reserved.